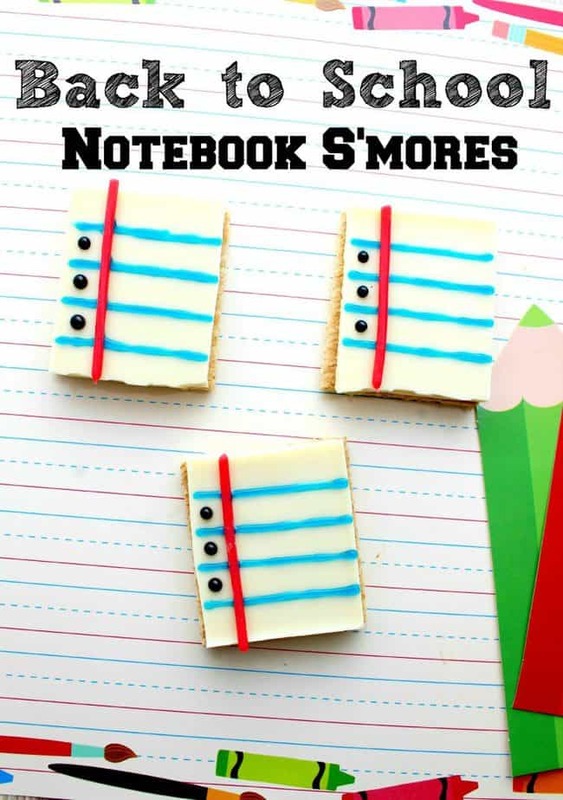 This Back to School S’mores Treats Notebook Paper recipe has got to be one of the easiest and cute decorative back to school treats I’ve seen in a while! Notebook paper designs pretty much always make me think of the back to school season so turning them into back to school treats is just beyond cool! You can even laminate a piece of notebook paper and lay flat on a tray to serve your s’mores on top of! Check out our recipe and tutorial below to make your own back to school treats! 1. Take a graham cracker square and spread about 1 T of marshmallow creme on it. 4. Use a single strand of a red pull-a-part twizzler candy and cut a 2 inch strand from it. Place the strand going down the s’mores cracker to resemble the red line in a piece of filler paper. 5. With the blue Wilton gel icing tube, squeeze 5 lines across the smores cracker to resemble the blue lines on a piece of filler paper. Check out our entire BACK TO SCHOOL Pinterest Board here!